Wiemann Lamphere Architects have recently submitted a series of designs and information to the Montpelier 2030 design challenge. The original round of judging was completed through a combination of public vote and comment and the award committees deliberation. Of 28 contributors, our designs were chosen as one of the top 5 finalists to be submitted for the final round of judging. Below are the materials that we submitted for this competition. To craft a solution for Montpelier, and beyond, that is inspired and forward thinking, while still being relevant and viable. To define a template of solutions that are expandable, flexible, and able to unfold as the future allows. To build up from existing infrastructure – railways, roadways, mass transit routes, district heating plant. To celebrate the patterns of live, work, learn and play that are working, while improving the ones that need improvement. To expand an urban platform while broadening its focus on the natural environment. Our solution looks to address environmental sustainability with a holistic approach. For transportation, we look to reduce the use of personal automobiles by developing a public transportation and pedestrian network that can support the City of Montpelier. At the larger local and regional scales, we are looking to integrate a public transit trolley system serving major business, civic, community and residential areas along the Main and State Street corridors. We envision the creation of dedicated alternative transportation hubs at the East and West city entrances that would house car share, bike share, regional commuters, and trolley cars. We are utilizing the proposed bus facility and existing railways to create a central node of regional transportation. Connecting all transportation hubs and major points of interest is a new dynamic spine of pedestrian circulation. This spine features an indoor pedestrian link that will connect people throughout the downtown district and places them at the heart of a vibrant new development of public parks, housing, cultural, & community space that front the Winooski River & the North Branch. This protected pedestrian circulation along with a convenient trolley system will become the prime method of circulating throughout the downtown. Along with the removal of street parking on a large portion of State Street, our plan is to encourage a more pedestrian friendly environment at all times of the year. For buildings, this plan is meant to guide development in a way that balances and improves existing city use patterns. We look to infill areas along Main & State Streets with mixed use development that enhances the street wall and strengthens the already vibrant business district. 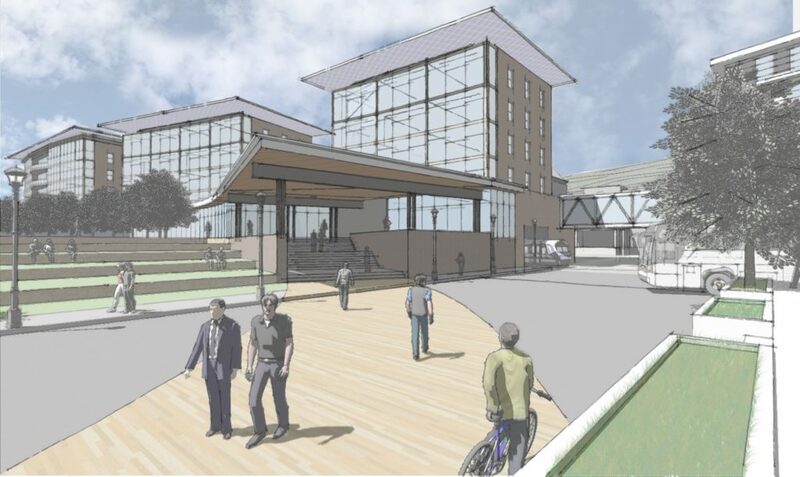 New housing is placed along the pedestrian spine and riverfront, allowing thousands of residents to enjoy all the amenities of Montpelier within a short walk. As an anchor to the city, we have placed a Convention Center & Hotel at the Main Street Gateway. This placement allows for connection to the commuter hub, and aims to keep visitor vehicle traffic from entering the downtown district by connecting all visitors to the businesses, parks and cultural centers by way of the pedestrian link, enhancing the visitor experience. To reduce energy use, new buildings will be high performance structures that take advantage of prime solar orientation, onsite renewable energy, and contain thermal energy storage chambers to store excess heat for use when demand is higher. The use of high performance buildings coupled with thermal storage will allow the district heating plant to connect to more facilities or reduce the output of new energy required at a given time. Our goal is to reinforce and educate sustainability at every turn, beginning at the major access points to the City: Our plan strengthens the Taylor Street entrance and embodies the character of a sustainable future. 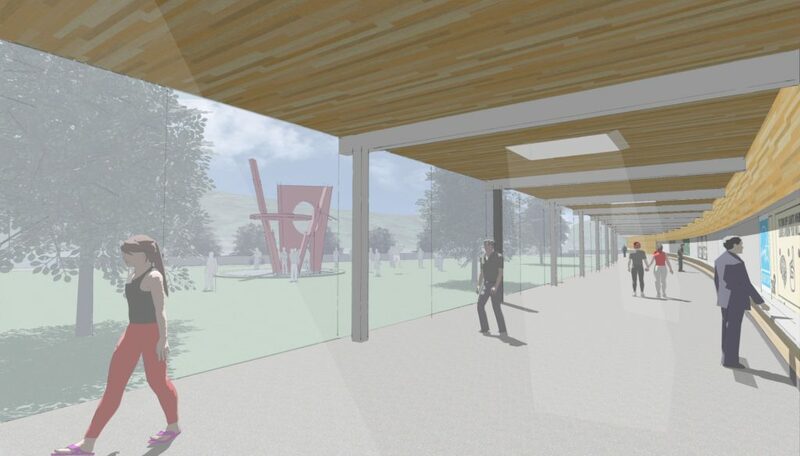 It is our intent to provide educational opportunities within the indoor pedestrian spine to bring the concepts of a sustainable future to the forefront and make people aware of their individual impact and responsibility towards Montpelier’s carbon neutral goal. 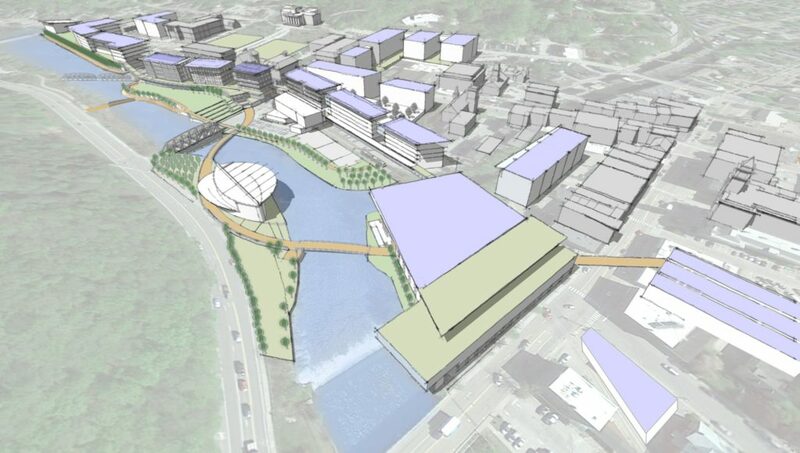 We have added a cultural hub along Route 2 and connected it with pedestrian links to enhance the riverfront and provide community access and educational opportunities throughout, while providing event space and amenities to the City of Montpelier. 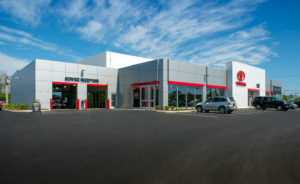 We have addressed durability and longevity at a large scale by designing new structures on a raised plinth. This concept raises vulnerable uses above the flood plain, while providing space for covered parking and building thermal storage chambers. On top of this plinth is the development of dynamic community green spaces and buildings, all of which are protected from future flooding. Proper site design begins with an investigation and understanding of the sites history, obtained through public record and information provided by previous tenants and owners. This information allows us to be as prepared as possible and address issues related to the site before any construction takes place, ensuring the health and safety of the workers and inhabitants. Some sites have experienced contamination in the past and must be cleaned before the site can be considered suitable for new construction. The original site of the 802 Toyota project was heavily contaminated by previous inhabitants related to the auto industry. Armed with this knowledge, we were able to have the polluted environment cleaned and rejuvenated the site before any construction had begun. Wiemann Lamphere’s mission to provide creative sustainable solutions starts with the site keeping true to our values and our promise to provide healthy, environmentally sound working and living spaces for our clients, their stakeholders and the community at large. Another important aspect of the site that’s imperative to consider is the orientation of the sun at different points of the day. Knowing where the sun rises and sets in relation to the site allows us to design the building to take advantage of as much natural light as possible. Using window design, sky-lights and daylight sensors, we can design buildings that utilize far less lighting energy. Knowing the orientation of the sun in context of the sight also allows us to determine the best placement for photovoltaic (solar) panels. 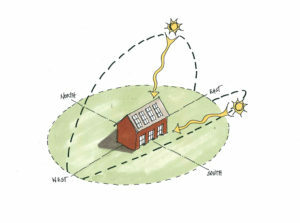 Utilization of solar energy also allows for the building to consume less energy. The combination of sustainable energy and design techniques can even allow a structure to achieve net-zero energy use, meaning that it produces as much energy as it consumes. Lastly but certainly not least, the reexamining of the site parameters including elevation, available space and existing facility conditions (not to be confused with existing site conditions) aid in the overall development of the structure(s) and site. Often, we find that we are able to develop a variety of options for facility design based upon the client’s site and the qualities of the existing conditions. We offer insights that allow for more sustainable design aspects, future expansion and utilization of site and facility conditions that could benefit the client beyond what they originally thought was possible within the site. At Wiemann Lamphere Architects, we work to encourage community involvement and interaction in a variety of ways. 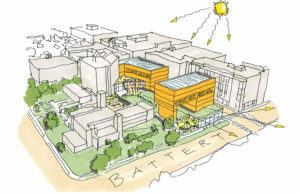 Often this is done through charrette meetings, public fundraising efforts and development of common community spaces; however, with one of our most recent projects, we aided in the establishment of a rather unique community relationship, between a senior independent living facility and a technical college. The Gifford Retirement Community in Randolph VT, is located within walking distance of the Vermont Technical College (VTC). 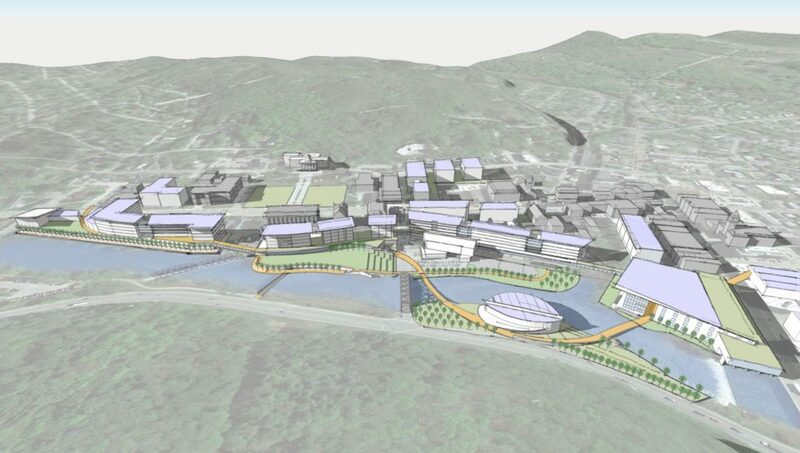 During the visioning and programming phases WLA helped to determine that the establishment of a relationship between the two entities was one of the goals for the site and project. With encouragement from our firm and the designs we put forth, this goal has already begun to become a reality. 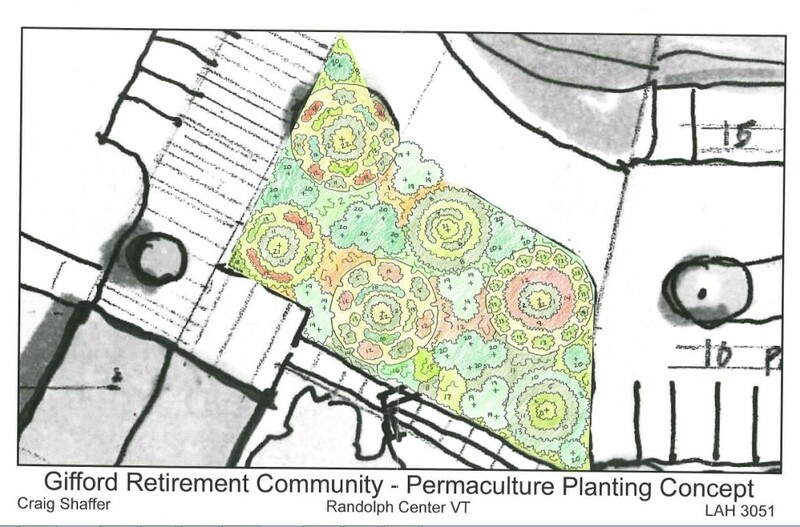 The Vermont Technical College’s Permaculture class offered a great opportunity for connection between the two organizations. This arose through the research and planning of permaculture gardens within various locations around the Gifford site. Permaculture is “a set of techniques and principals for designing a sustainable homestead, which is modeled after nature but includes humans. In permaculture the garden is an ecosystem including the interactions of biotic and abiotic factors working together to produce products” (Kim Cayer). 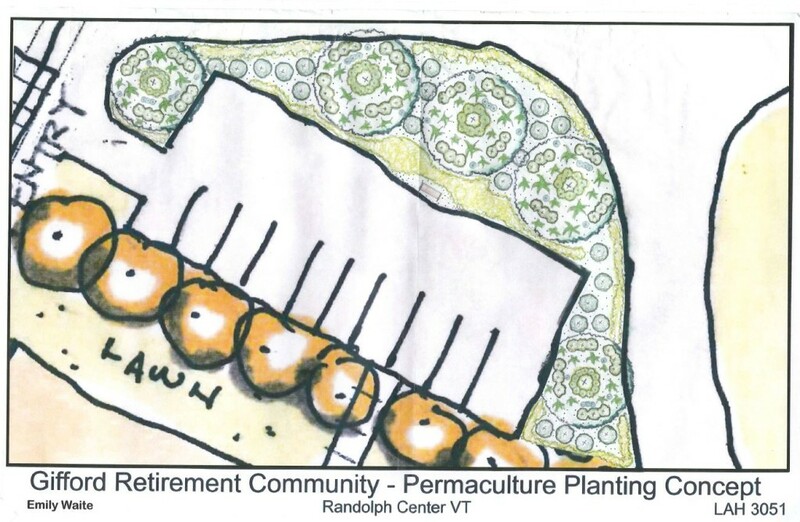 Students were charged with developing plans for sustainable, synergistically functioning plant ecosystems that would encourage involvement and activity within the Gifford community and Technical College alike. 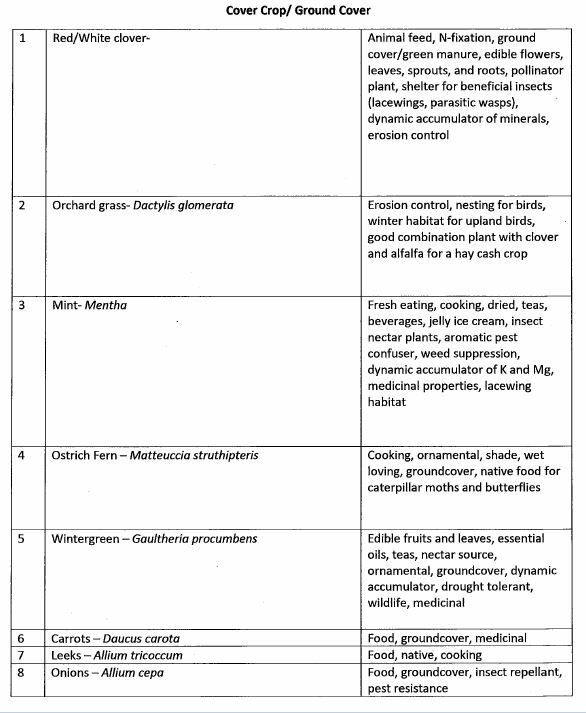 These plans included lists of plants that would occupy each section within the chosen locations, explained their benefits to the entire ecosystem, provided designs for plant beds, descriptions of how the system would interact and made suggestions for how the community would be involved in ensuring the longevity and sustainability of the biomes. The plants included in these designs serve a multitude of function from increased biodiversity and the encouragement of pollinators, to development of edible byproducts and usable materials. The VTC class utilized site drawings that WLA had prepared for the Gifford project during design development, ensuring that they would be actionable guidelines for how to create these ecosystems after project completion. 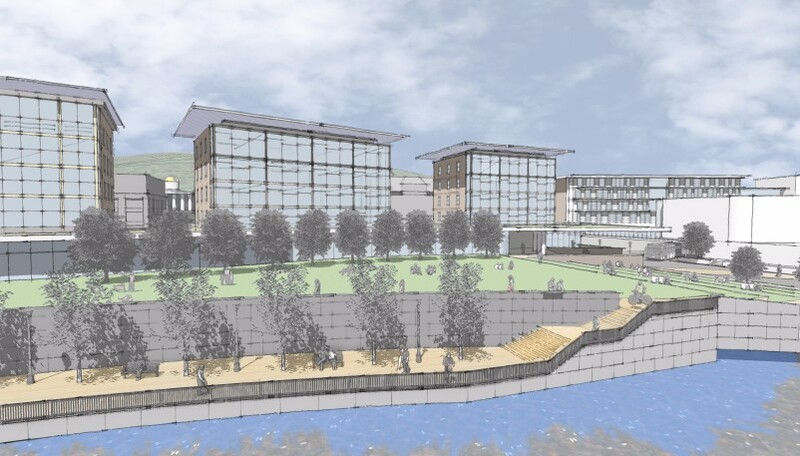 These plans are likely become part of the overall landscape design of the Gifford site and will add an entirely new sustainable dimension to an already efficient site. We are excited to see the level of multi-generational interaction that has already been established between the two campuses. We hope that the relationship that WLA has aided in fostering will continue for years to come, and that they will each find new ways of supporting one another through shared spaces programs and events. Welcome to the blog of our new website! All of us here at Wiemann Lamphere Architects hope you will frequent the new website and blog to follow news and developments. Your feedback is always welcome.